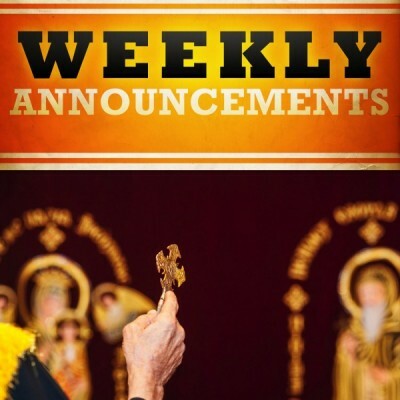 The Divine Liturgies during the Great Lent will be in Woodward Ave Church as follow: Mon & Wed 9:00-12:00; Thu & Fri 11:00-2:00; Tue 2:00-5:00; Sat & Sun the same normal schedule. There will be one-day trip to Marian Shrine in Stony Point, NY on Sat May 18 by bus. For reservation please see Mr. Saad Samaan.